Take a close look at the image above. What do you see? The first is made in one swift, seamless motion. The second is made by making an “S” with a line connecting each end. While the last one resembles the bottom two-thirds of a snowman with two stacked ovals. They all represent a specific, identifiable number. All of these “eights” are different, yet we see them as being the same. And so it is with the Holy Trinity. The Trinity is made up of the Father, The Son, and the Holy Spirit – one God in three persons. Each is distinct in purpose, yet the same. How can this be? Therefore, go and make disciples of all the nations, baptizing them in the name of the Father and of the Son and of the Holy Spirit. God the Father knew you and chose you long ago, and his Spirit has made you Holy. As a result, you have obeyed him and have been cleansed by the blood of Jesus. All things are from the Father, through the Son and in the Holy Spirit. With God, the laws of math do not have to add up. Those crazy eights in the example above reveal a simple truth. You can have three things representative of the same. This is a crucial belief in the maturity of faith. *Sourced from the link above. The little things. It’s funny how God puts little things in our everyday life to reminds us of Him and his undying love for us through His son Jesus. A lone nail lies on the road. To some it may be a road hazard. To others, it may be God’s reminder that Jesus died for our sins and as humans, we sin all the time. Through the crucifixion, Jesus gave us eternal salvation. For this moment, the nail in the road is a symbol of the ultimate leader who did not fall on his sword for his cause, but was violently beaten, mocked and nailed to a cross of wood to die a slow, agonizing death. He bled until there was no more blood, but water pouring from his wounds. 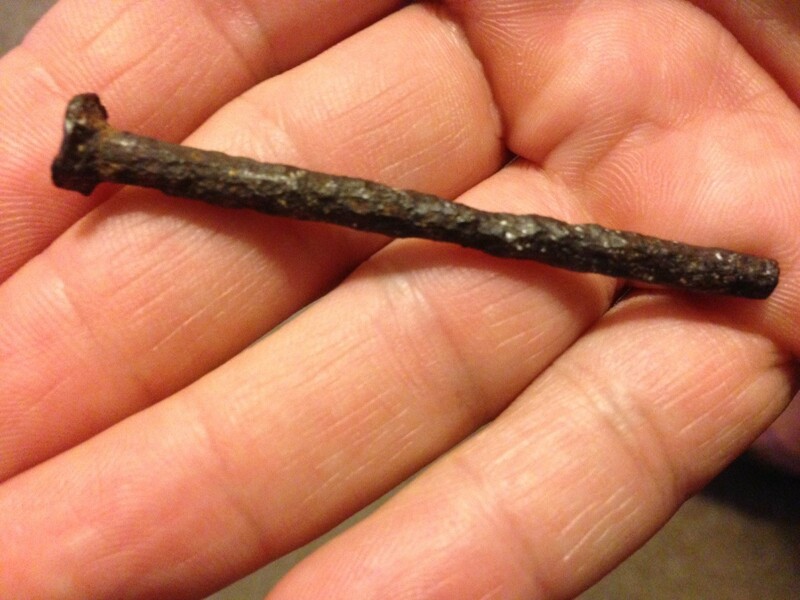 The nail is a reminder of the sacrifice we must sometimes make for the good of everyone else – as Jesus did. Sometimes you have to do things you just don’t want to. And all the time, we should pay attention to the little things. It’s the little things in life we often miss because we are seeking out the big things. When in reality, it’s the little things that may matter more. Like the reminder of the nail. Jesus makes the point that the small mustard seed – the smallest of seeds – actually becomes a tree. The little mustard seed could easily be lost among other, larger garden seeds. From it, however, comes one of the largest plants. Just like that nail in the road, we should look for the little things that remind us of our purpose, keep us on track and keep us grounded. Seek the detail… so the intention won’t be overlooked. One more example: the beauty of a sunset far outweighs the annoyance of being blinded by the sun. The key is to look around at the beauty that lets you know how magnificent God is. Daily Prayer: Ask God to help you see past your clouded view and focus on the little things that really matter versus magnifying the big things that don’t really matter. carpet… hardwood… tile… fuzzy slippers…? When your feet first hit the floor in the morning what do they feel? I want to challenge you to take your earthly eyes and train them to see a very different reality. To do this I need you to take a little imaginary trip with me. You wake up one morning to the sound of a bell. It’s not your normal alarm. In your fogginess, you plant both feet on the floor but it doesn’t feel familiar. Your feet are not touching soft fuzzy carpet, but a cold… hard… mat. You look up and see that your bedroom walls have been replaced with ropes. That’s when you realize… you’re not in your bedroom… you’re in a boxing ring. I bet your defenses would kick in real quick, because if you are in a ring… then there must be an opponent somewhere! Seems like a far-fetched scenario. But is it? When you wake up each morning, are you aware that you really do have an OPPONENT? I’m here to tell you that your opponent has not forgotten you, and he loves to catch you with your defenses down! Look around that comfy bedroom of yours again. Look underneath your feet. Let your eyes adjust to the unseen. Hear that bell? Make no mistake… Every single day you need to adjust your eyes to the truth that you are in a fight with a very real opponent and you are either going to be on the offense or the defense. We tend to contextualize the word “fight” with only the negative and difficult times of our lives. When life is difficult, we are suddenly aware of our opponent. We put our hands up. We fight him head on. We arm ourselves. We ask for prayers and we bring others into our corner. What about the times in our lives when everything seems to be going smoothly? If we had a real honest conversation, I bet we’d talk about how we become relaxed with our prayer life. Our quiet time weakens. We mistake those moments in between rounds as time to rest. I’m afraid for some of us, we better duck! That right hook is coming. 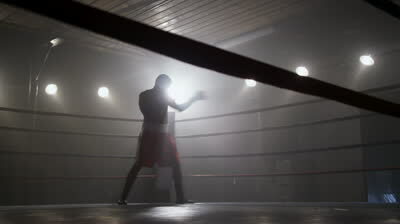 The boxing ring is a metaphor for our life as we face-off with our opponent. Are you continually preparing? Are you on offense or defense? Offense is taking up your Bible, being faithful in your prayer life, and being prepared. 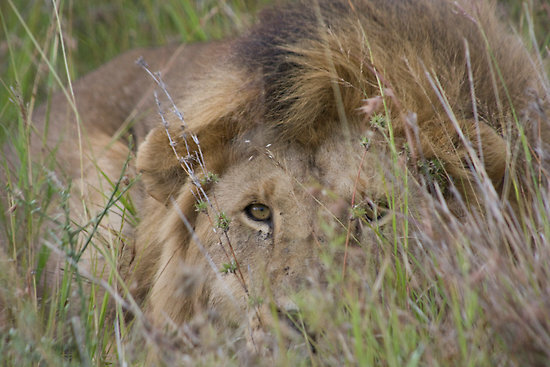 Defense is waiting for our enemy who is always on offense. After all, a life-or-death fight to the finish is the difference between being proactive or reactive.